After much waiting, the list detailing staffing cuts by listing what units are giving up how many bodies has finally been released. Management deferred releasing the list until the respective bureaus / units could notify affected officers personally. The final numbers totaled 177 persons moved. The breakdown is 15 Sergeants and 162 Detectives and Patrol specialty positions, which is 16 less than originally projected. 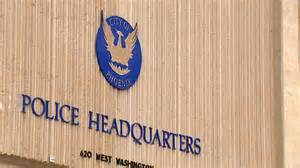 In addition, management has stated they will go with two year reinstatement lists for those officers displaced from detective and patrol specialty positions.